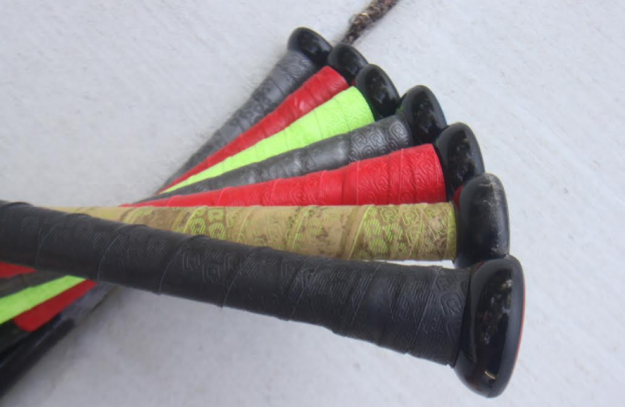 Over the years of buying performance baseball and softball bats we gathered a number of tricks along the way. We share with you three general categories that can save you several thousands of dollars over the years. Consider this the how-to of best bang for your buck on a bat. You may also find our weekly best bat deal page worthwhile. One obvious idea is to save some dough is to buy a previously used bat. Sites, like ebay, often have used bats up for auction at remarkable discounts. But those discounts come with a cost in the name of no warranty, damaged goods and dealing with novice sellers. Despite these and other legit reasons to not buy used, here are a few insights to consider when pulling the trigger on a ‘used’ bat. Buy used composite barrels only. It is rare we purchase a highly used aluminum barrel bat. The reason: aluminum loses it’s pop over time. Composite barrels, on the other hand, tend to only get hotter. As long as there are no cracks, a used composite bat is a smart buy. Be wary of aluminum barrels in the used space. Just because the bat is “new in wrapper” (NIW) doesn’t also mean there is a warranty. All bat manufacturers only honor a warranty if you HAVE THE ORIGINAL RECEIPT from a verified vendor. Ebay receipts don’t count—you will need an actual receipt from the vendor. Buying a NIW bat without a warranty might be a good choice if the price is right, but don’t assume it comes with a warranty. Pay attention to the grip. Dirtier grips mean more usage. Lighter grips get dirtier much faster than others. Use that data point to know how used the bat is. No matter if you’re buying new or used, the market prices for bats fluctuate. The price curve almost always bottoms out a few days and weeks before manufacturers release their new version of the bat. For baseball this is the last few weeks of July through August. Fastpitch is closer to June. Often, vendors looking to produce some shelf space dramatically reduce their prices to move some boxes. It is not uncommon to get bats at 50% of their ‘in season’ price during this short window. During this frenzy, check a place like justbats.com old inventory, closeoutbats or amazon’s bat section to monitor. If you are real clever, you’ll find these vendors also have eBay accounts where they really unload prices. Secret #3: Last Year’s Model? We are often asked what the difference is between last year’s model and this year’s model. Is it worth the difference in price? We have a few thoughts on that subject. Availability. Bat companies and vendors do a good job of ridding themselves of previous years inventory. Turns out, bat companies have a good feel for how many bats they are going to sell in a given year and don’t make much more than that. As a result, don’t assume the price difference or availability in last year’s model and this year’s model will always be around. Generally speaking, buy used if the barrel is composite and make sure the grip condition is lining up with the claim of how often the bat was used. Also be aware that a “NIW” claim doesn’t also mean it has a warranty. Make sure, as well, you buy at the right time and, as long as you can confirm the bat is what you want, go with last year’s model. These are the keys to getting the best bang for your buck in a bat. In an attempt to be pragmatic (although this list will be quickly outdated as they sale) here are a couple of bats I found with a few basic searches in a matter of minutes. Buying these three bats today would be a legitimate $400 in savings. 2016 Easton MAKO BBCOR $249 @ Justbats—down from $450 just a few weeks ago). Next: Next post: Flat Seam vs Raised Seam Baseball | Did the NCAA Experiment Work?